On Friday, July 13, Barack Obama announced on Twitter that he would be traveling to Africa for the first time since leaving the White House. After his tweet, all eyes were on the former U.S. president for this historic, four-day visit to his father’s native homeland. During his trip, he delivered an impassioned speech to a crowd of more than 15,000 attendees in Johannesburg on Tuesday, July 17, at the Nelson Mandela Annual Lecture. Though, before that Obama made a stop in Kenya on Sunday to visit family. 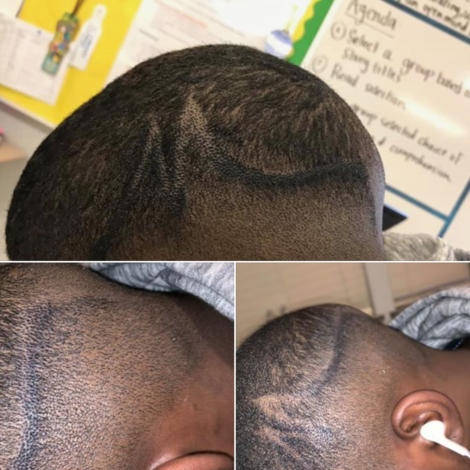 While in Kenya, he met with Kenyan President Uhuru Kenyatta and other top officials, and he showed off some of his best dance moves at the launch of a new sports and training youth center founded by his half-sister, Auma Obama. 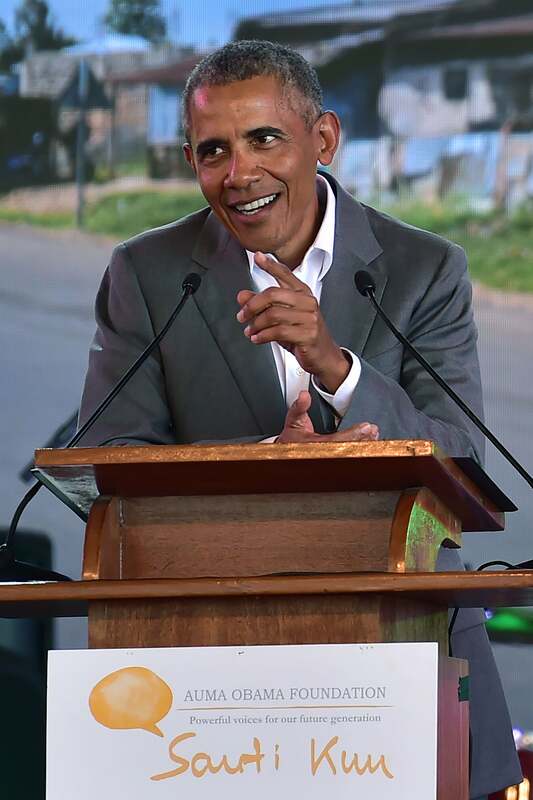 In addition to celebrating Mandela Day on July 18 and “taking action to change the world for the better,” Obama’s post-presidential trip also included a town hall in South Africa with 200 young leaders of the Obama Foundation. He will depart South Africa today, July 19. To see highlights from the momentous trek, scroll ahead for more photos. 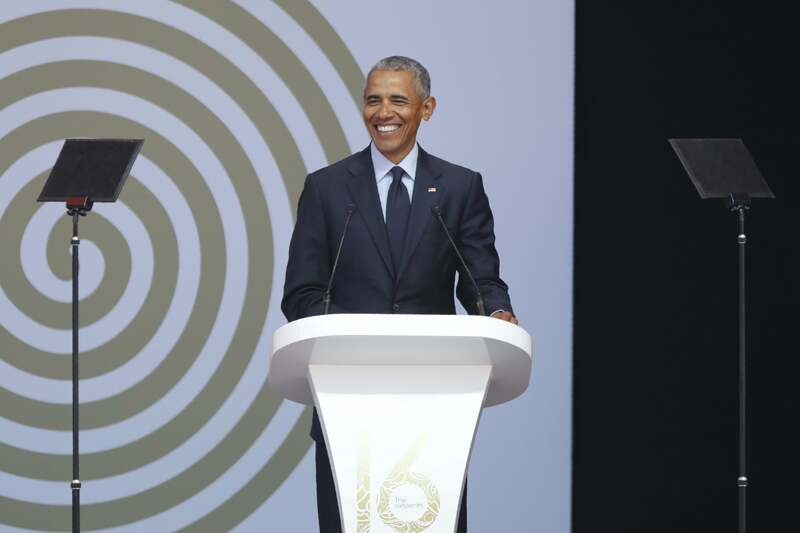 Former President Barack Obama delivers the Nelson Mandela Annual Lecture in Johannesburg. 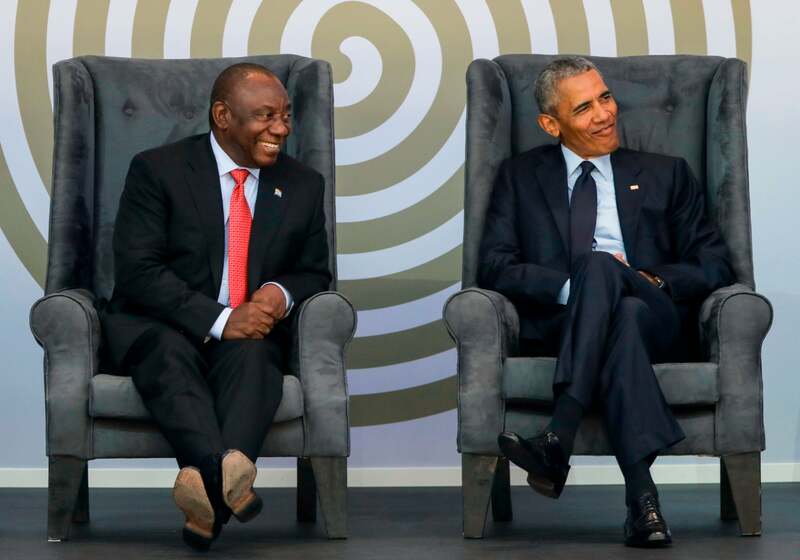 Former President Barack Obama and South African President Cyril Ramaphosa sit onstage during the 2018 Nelson Mandela Annual Lecture. 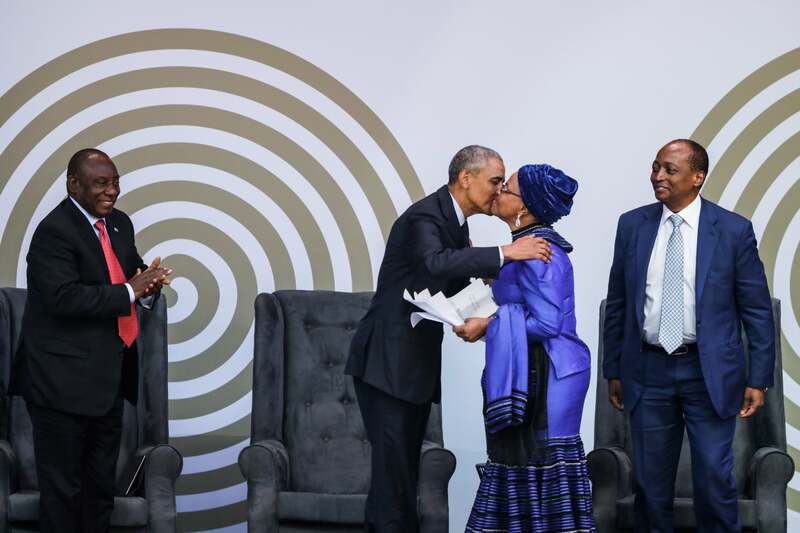 Barack Obama kisses Graça Machel, widow of former South African president Nelson Mandela, as he arrives on stage to attend the 2018 Nelson Mandela Annual Lecture at the Wanderers cricket stadium in Johannesburg. 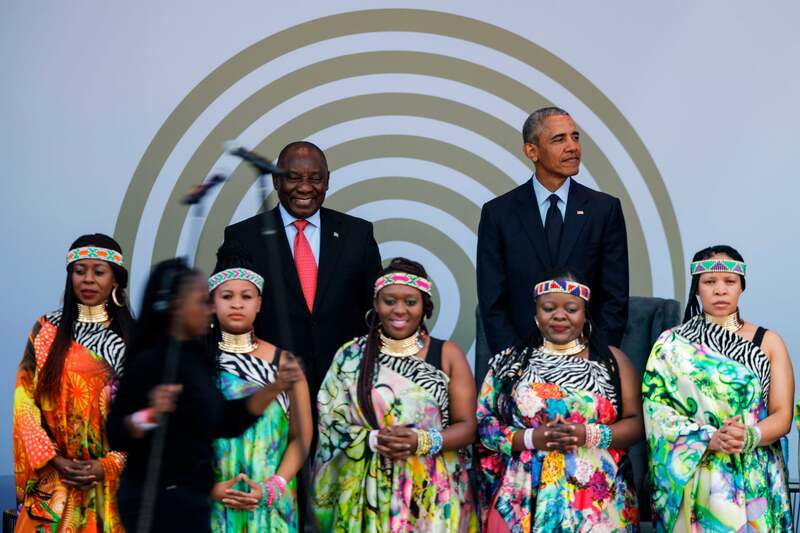 Barack Obama and South African President Cyril Ramaphosa stand on stage behind the Soweto Gospel Choir, during the 2018 Nelson Mandela Annual Lecture at the Wanderers cricket stadium in Johannesburg. 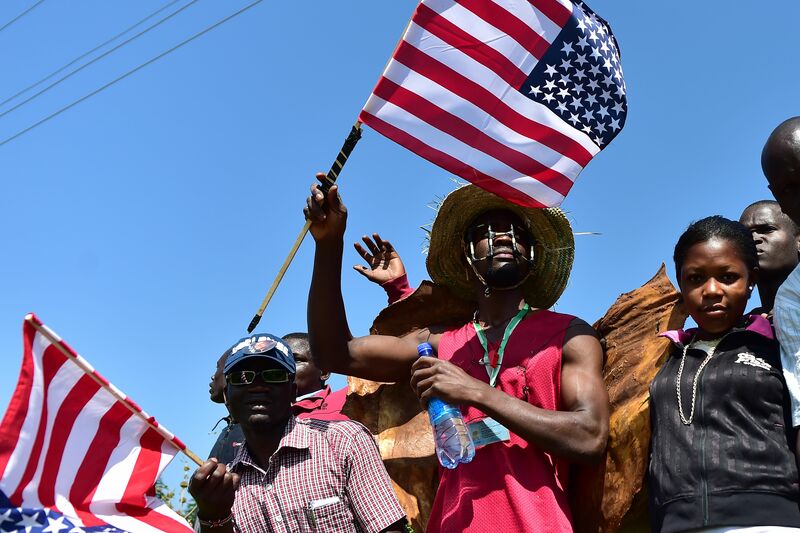 Residents of Nyang'oma village in Kogelo wave U.S. flags as they gather by the side of the road to wait for former U.S. president, Barack Obama. 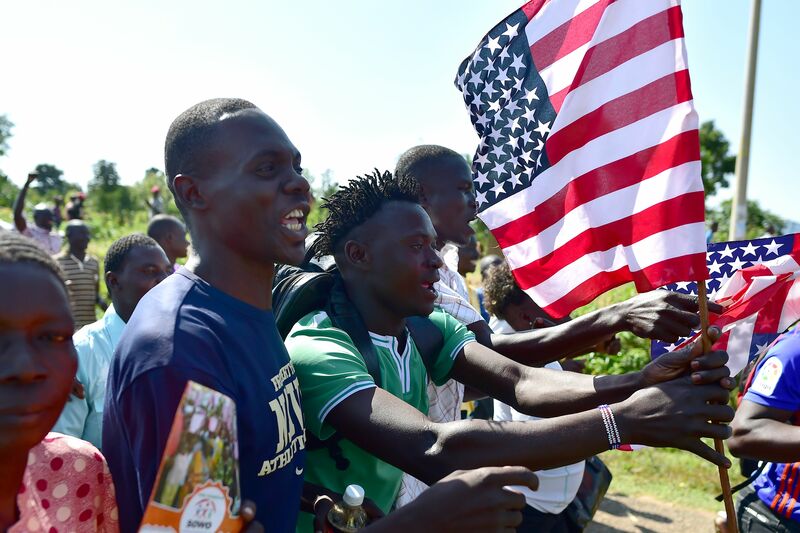 Residents of Nyang'oma village in Kogelo wave U.S. flags as they gather by the side of the road to wait for former President Barack Obama. 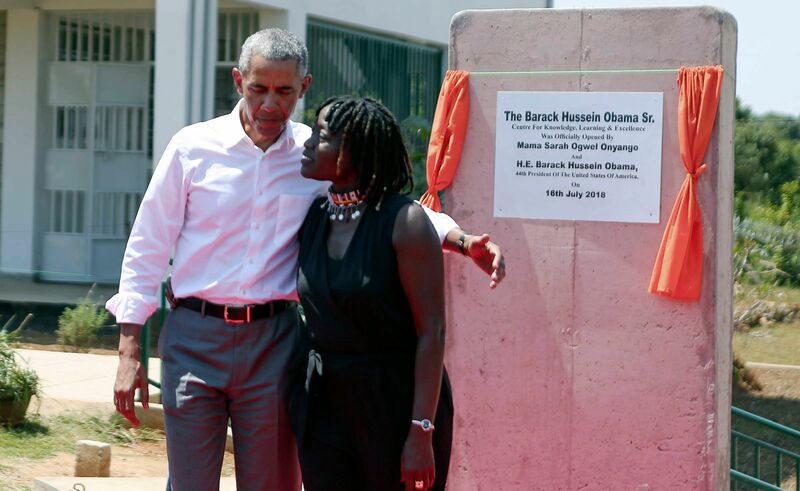 Obama gestures as he makes an address during the opening of the Sauti Kuu Resource Centre founded by his half-sister, Auma Obama, at Kogelo in Siaya. 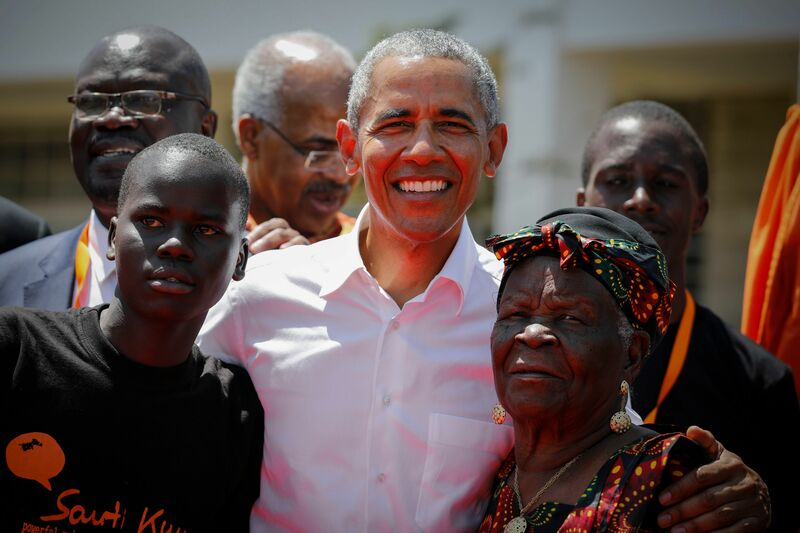 Former President Barack Obama to arrive for the opening of the Sauti Kuu Resource Centre in Siaya. 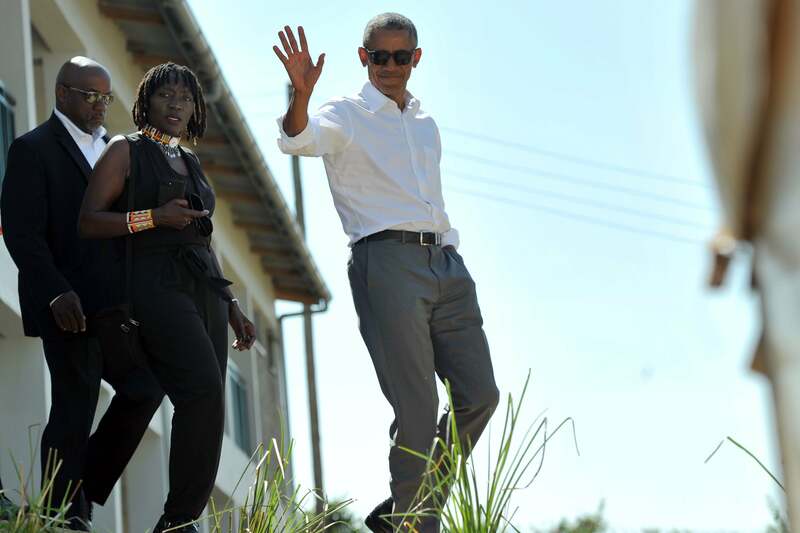 Barack Obama and Auma Obama, in Kogelo, Kenya. 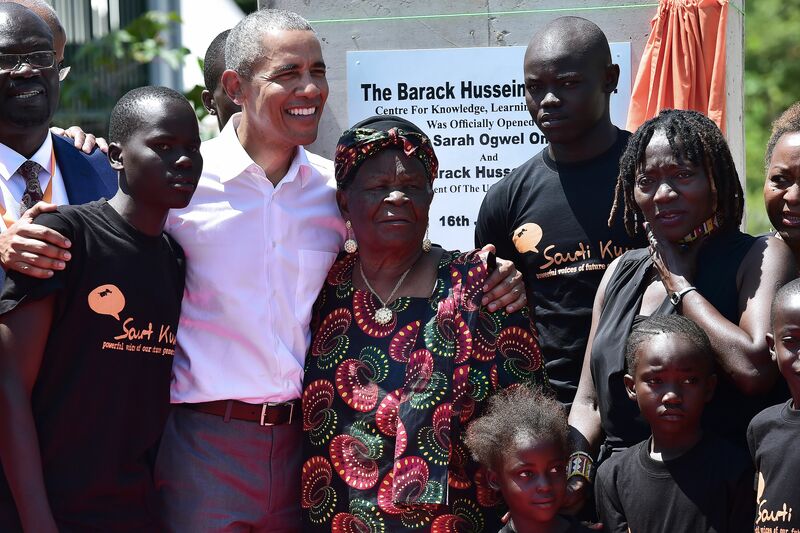 Former President Barack Obama with his step-grandmother, Sarah, and Auma, arrive to unveil a plaque during the opening of the Sauti Kuu Resource Centre. 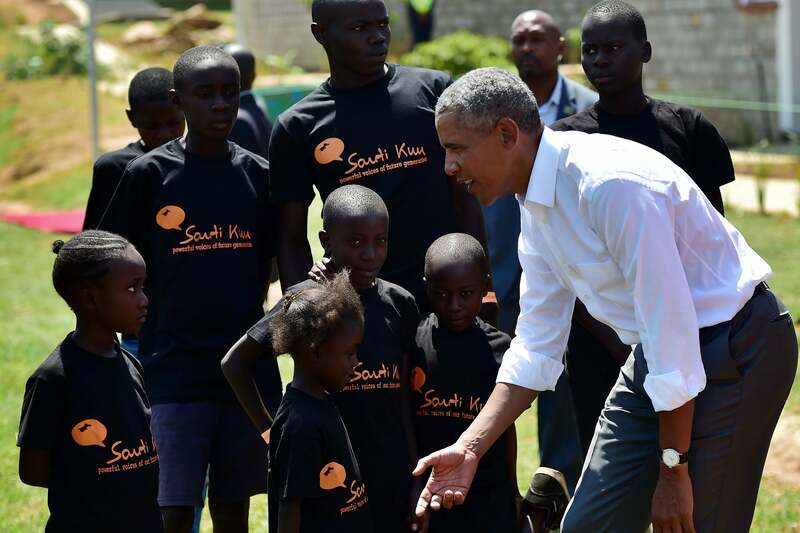 Barack Obama interacts with some of the local young beneficiaries during the opening of the Sauti Kuu Resource Centre. 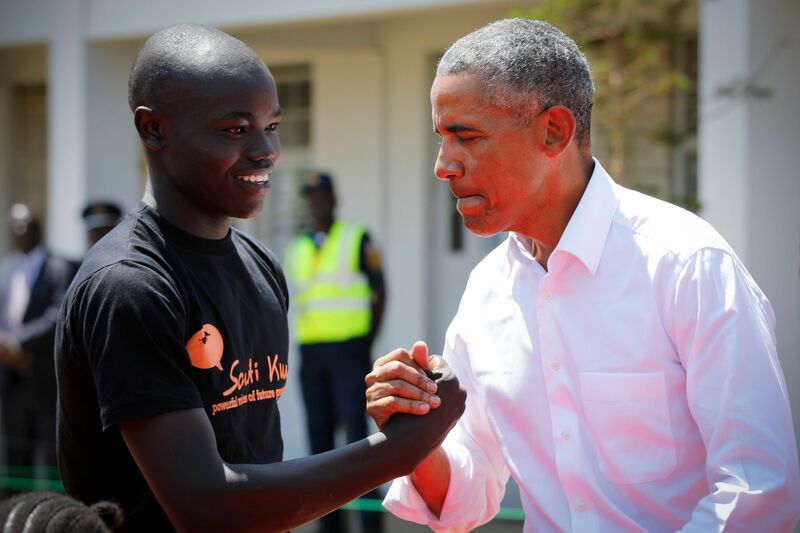 Barack Obama shakes hands with a local student during an opening ceremony of the Sauti Kuu Sports Vocational and Training Centre in his ancestral home, Kogelo.